Bottles Of Dreams make lovely gifts for all occasions. 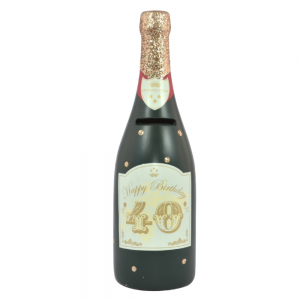 Once full the bottle will hold up to £500 in two pound coins. Each bottle measures 29cm or 12" tall.